Delicate, complex, sweet flavour - with a strong aroma that will bring your senses (and cooking) to life. 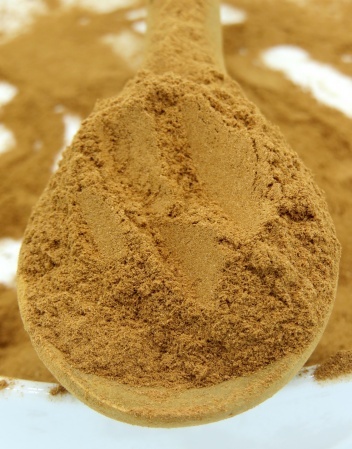 Grown on organic farms in Sri Lanka - it comes from the reddish-brown inner bark of the healthiest cinnamon trees. It can be used in an infinite number of recipes and as a replacement for sugar. Try it in porridge, cakes, cookies - even your morning coffee. It's also wonderful as a refreshing tea with a little bit of honey. Just brew with some hot water and enjoy! See the Stay Fresh Blog for more. Very good service. Extremely pleased. Order for my Ceylon Cinnamon came so quickly, excellent service, have added the cinnamon to my GP so wont know the benefit for a while, but I'm sure it's the best quality I could have bought. 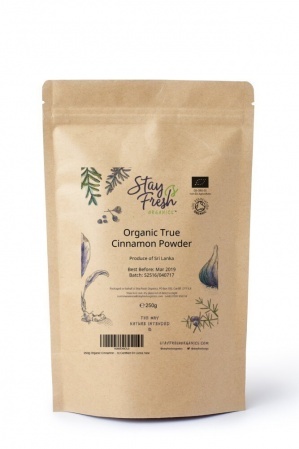 Really fast delivery, excellent customer service, the cinnamon smells wonderful and mixes readily with cocoa. What's not to like! The cinnamon was despatched promptly. I have yet to taste it but I am sure it will be of benefit to my health. I am told, cinnamon on fruit means you don't get such a suger spike, really good excuse to sprinkle lots on my fruit, because it's heaven. 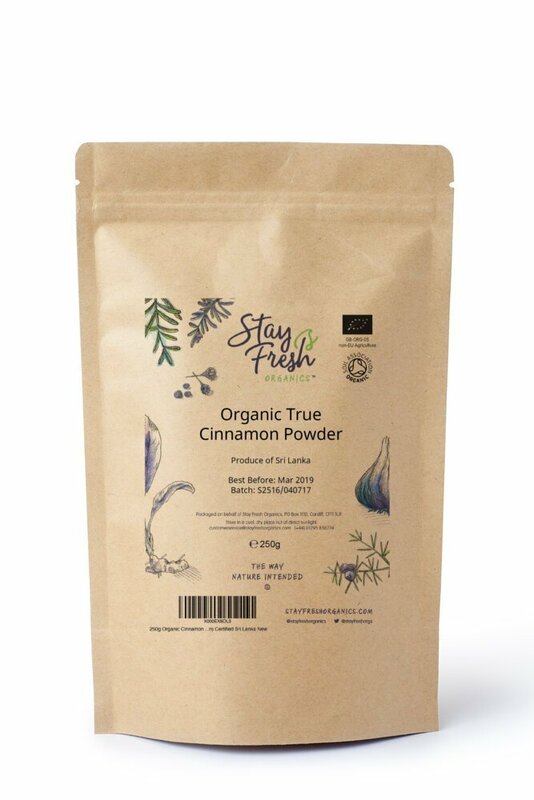 This cinnamon powder is the best I have used and is the Ceylon variety and not the type bought in Supermarkets. The service is also excellent. Highly recommended company.